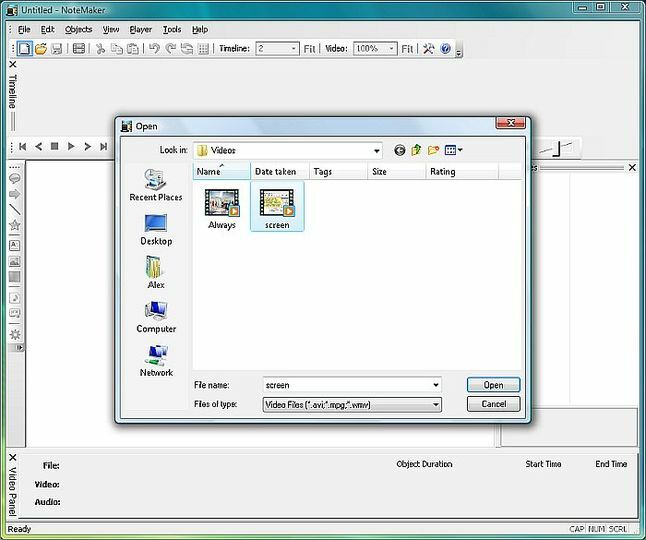 NoteMaker is a video editor designed to annotate AVI, WMV, MPEG videos. With it, you can add callouts, lines, text, images and more. Custom images (BMP, GIF, JPEG), sounds (WAV, MP3, WMA, AU, AIFF) and narrations (WAV, MP3) are allowed. AVI, WMV and MPEG are accepted for input, whereas output supports AVI, WMV, FLV/SWF. You can also make use of the built-in audio record to add narration.